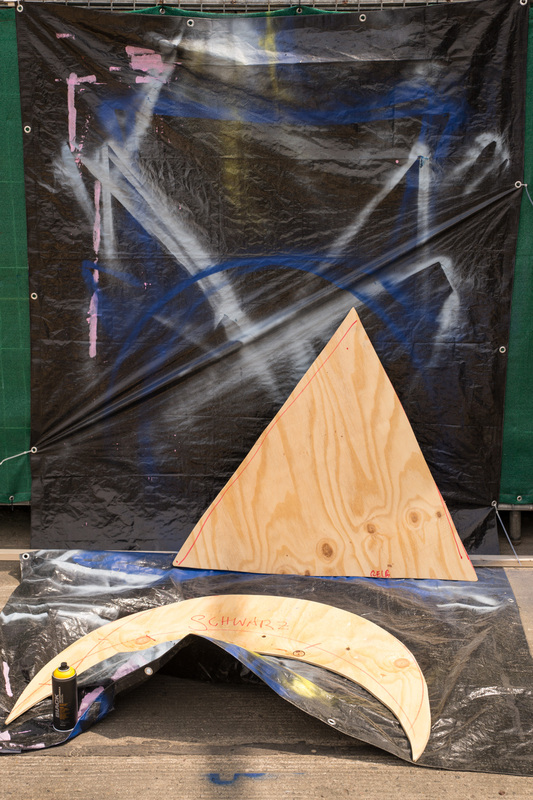 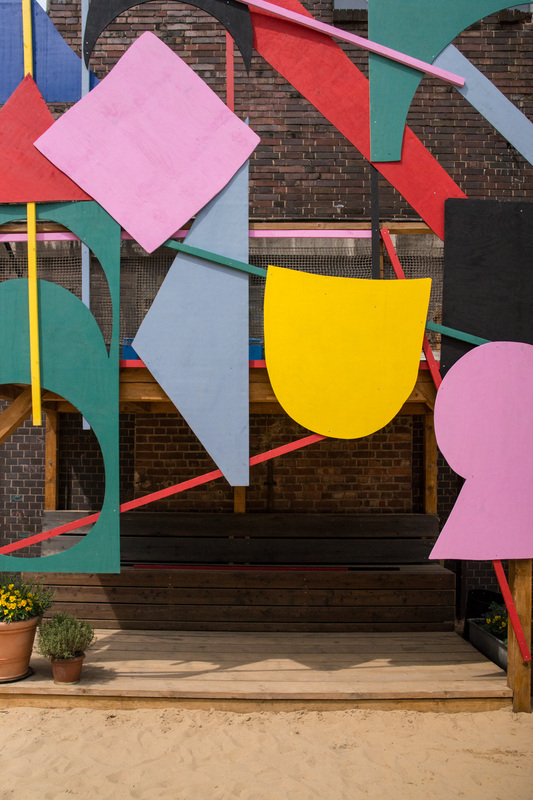 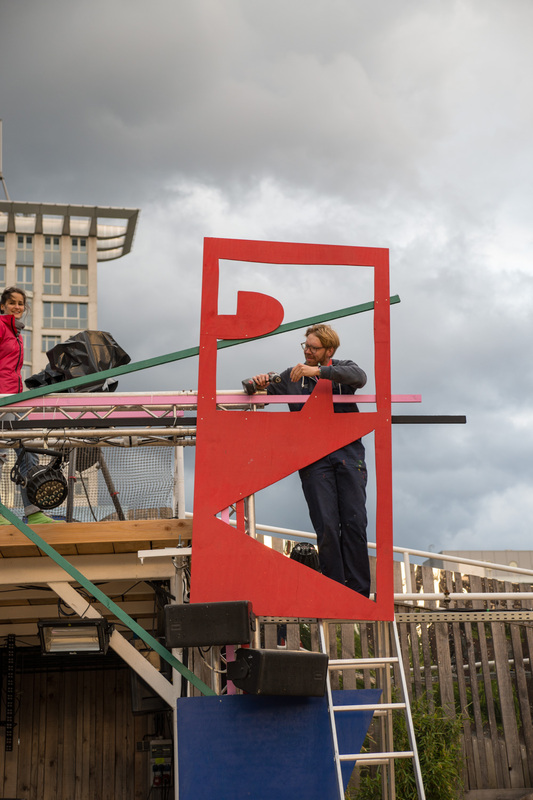 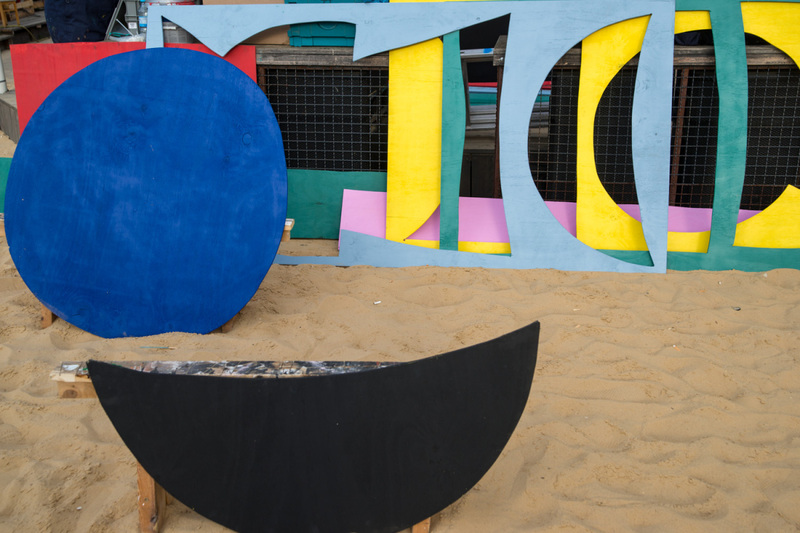 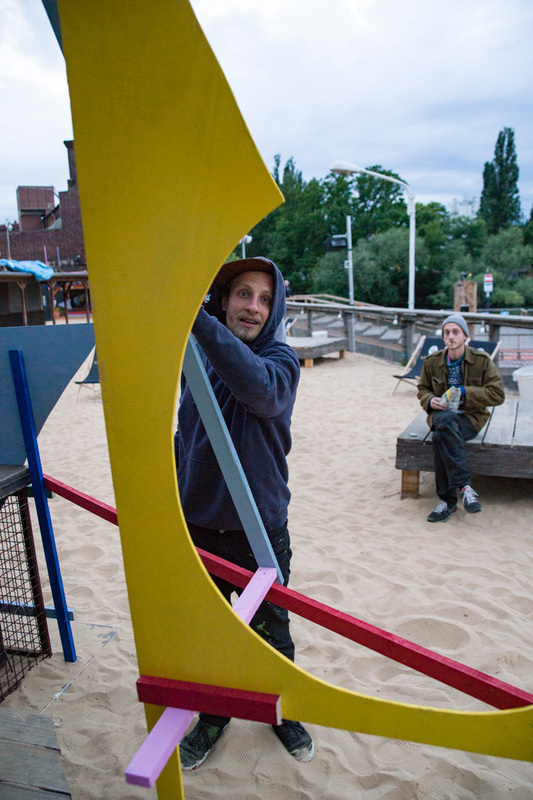 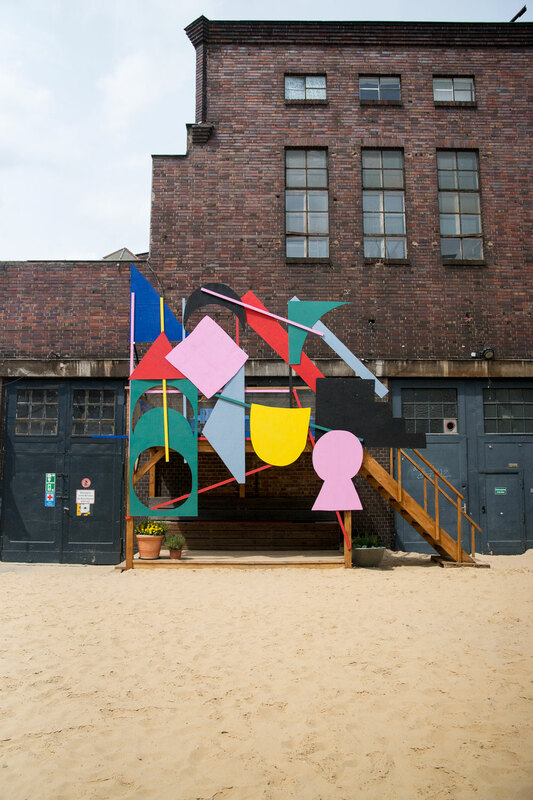 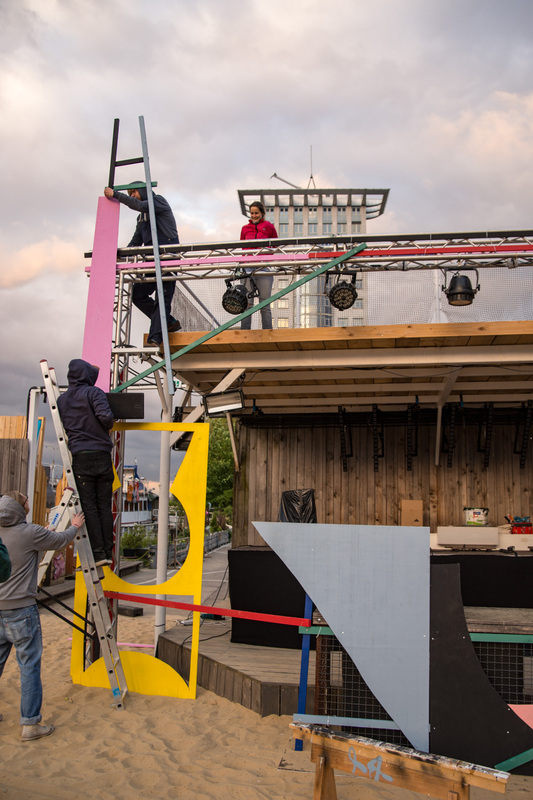 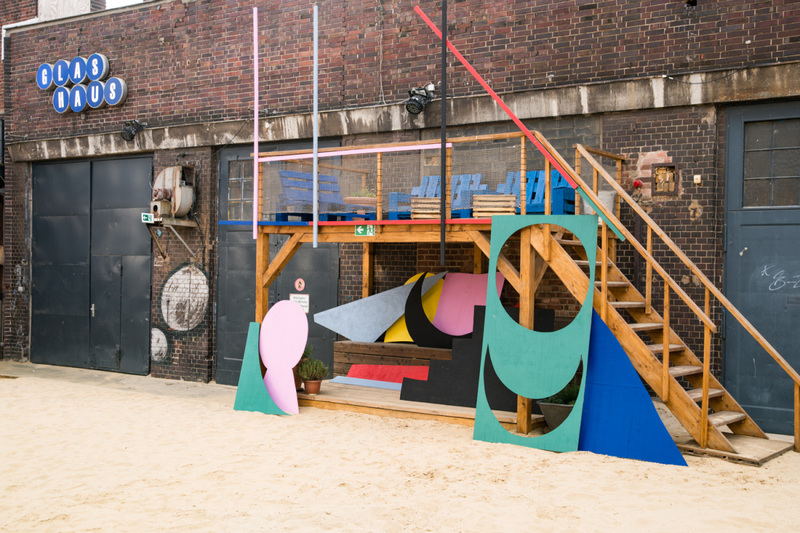 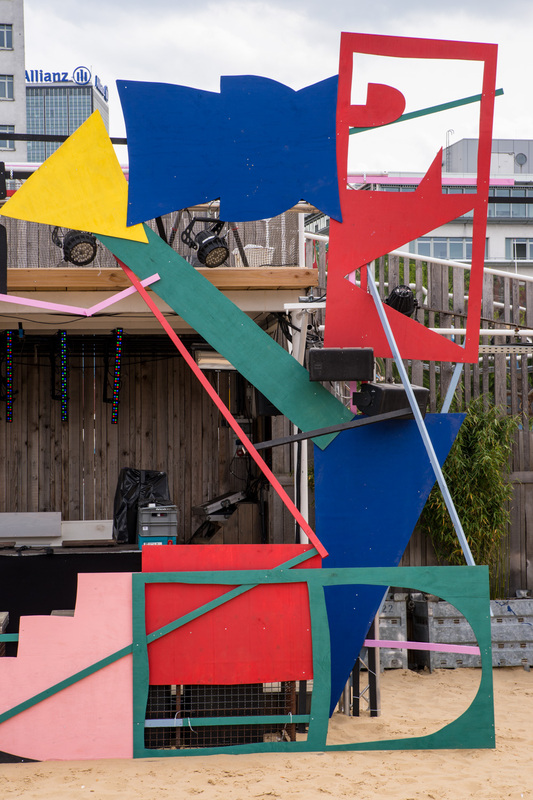 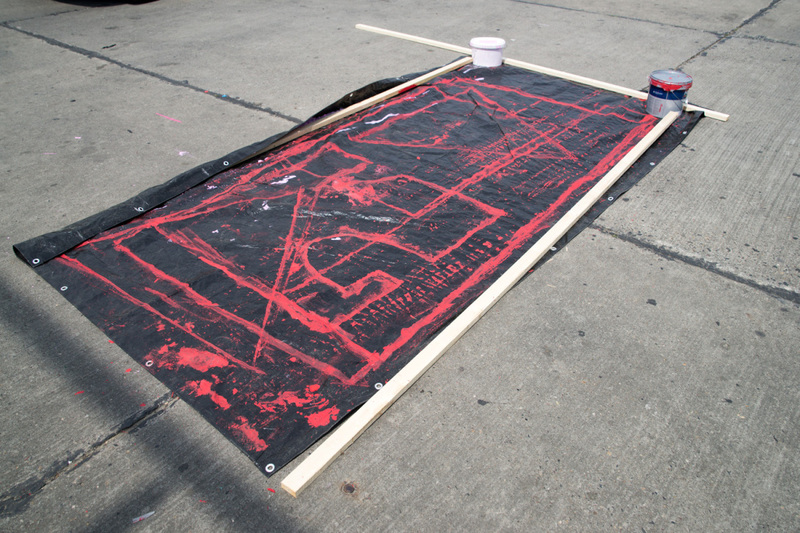 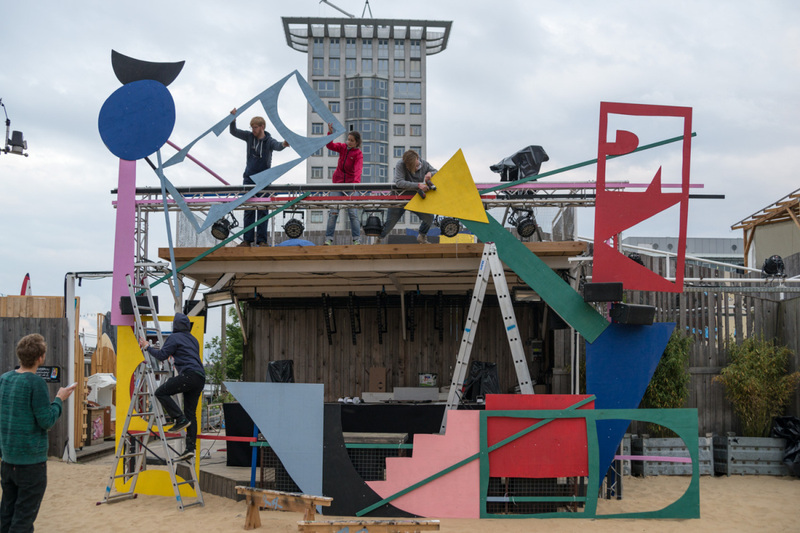 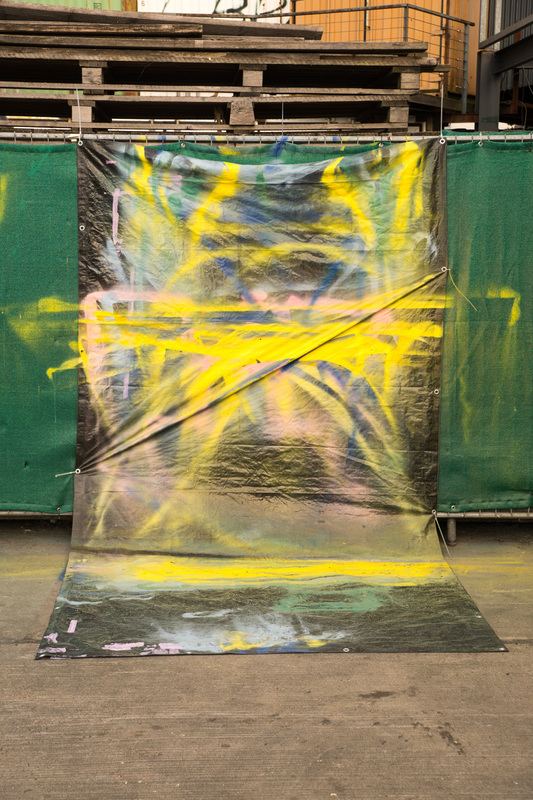 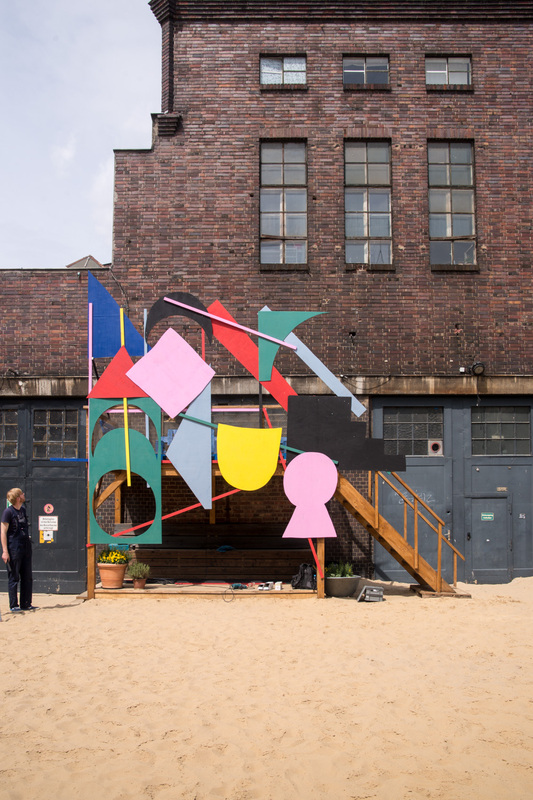 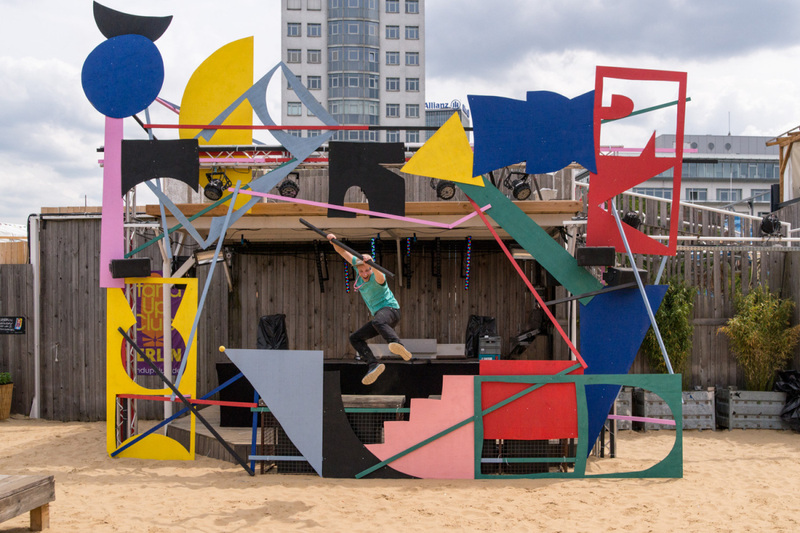 We were commissioned to build two stages for the 2015 edition of the Berlin Festival . 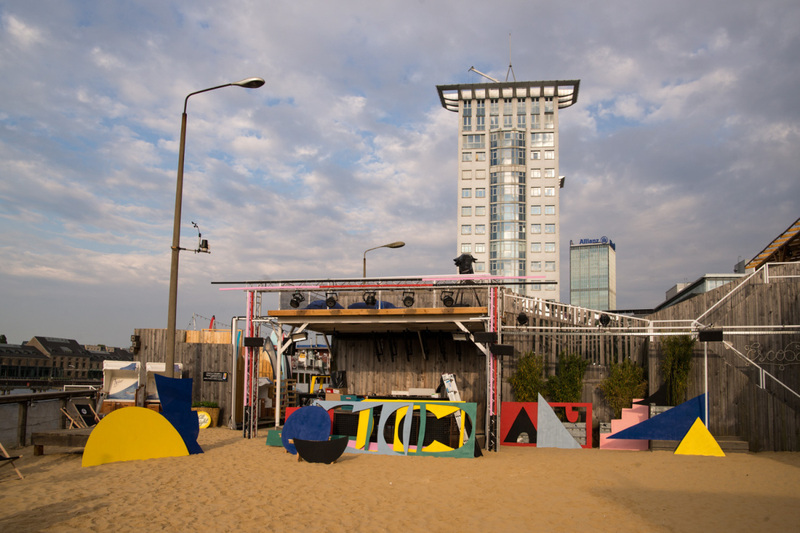 The first one, was the stage at the “beach area”, the second was located right by the entrance of the same area. 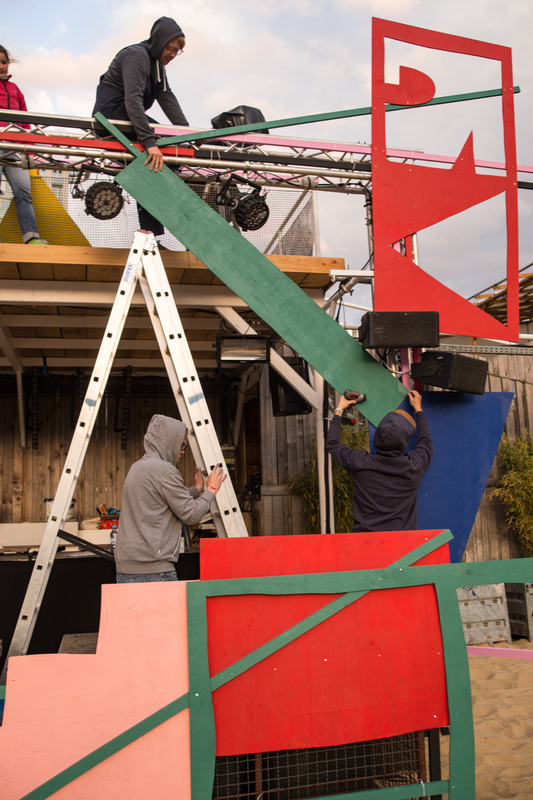 Because we didn’t have a lot of time for the construction, we worked with a simple system and did a lot of prep work in advance. 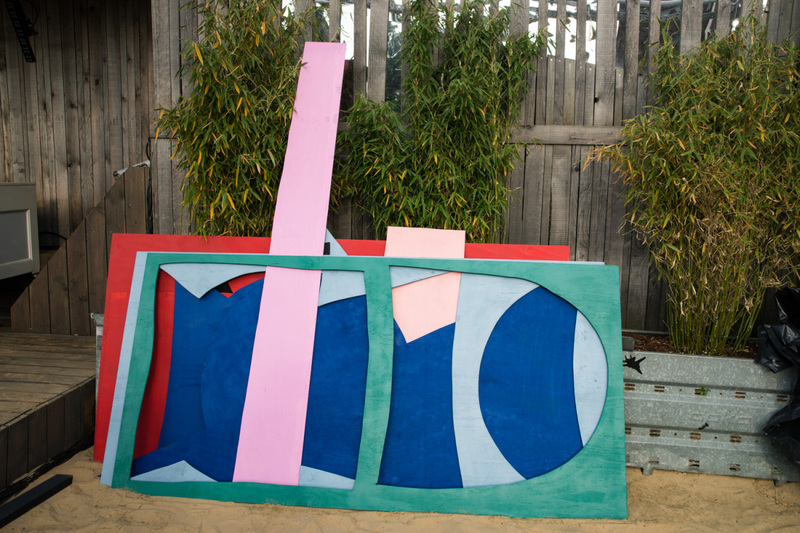 The system was based on a series of predetermined forms that were divided into a palette of 7 colors. 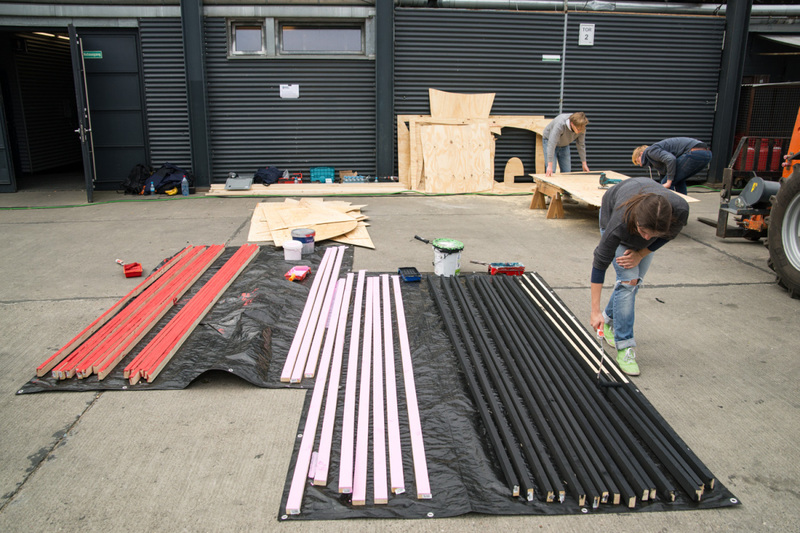 This saved us a lot of time and made the project manageable. 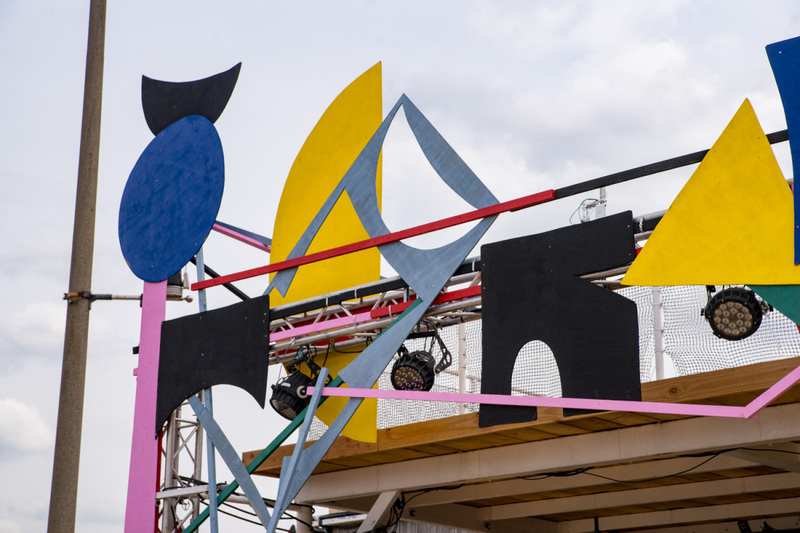 We’re definitely looking forward to the next edition!